Houston Rockets forward Nene Hilario reaggravated a calf strain that will delay his regular-season debut in 2018-19, The Athletic's Kelly Iko reported Thursday. According to Iko, doctors will re-evaluate Nene in three to four weeks. Nene's playing time has steadily declined as he reached his mid-30s. His 14.6 minutes per game in 2017-18 were a career low—excluding 2005-06 when he appeared in just one game. The gradual shift has resulted in Nene becoming an even more efficient player when he's on the floor. He set a career high in field-goal percentage (61.7 percent) in 2016-17, and he averaged 22.1 points and 11.4 rebounds per 100 possessions a season ago, according to Basketball Reference. 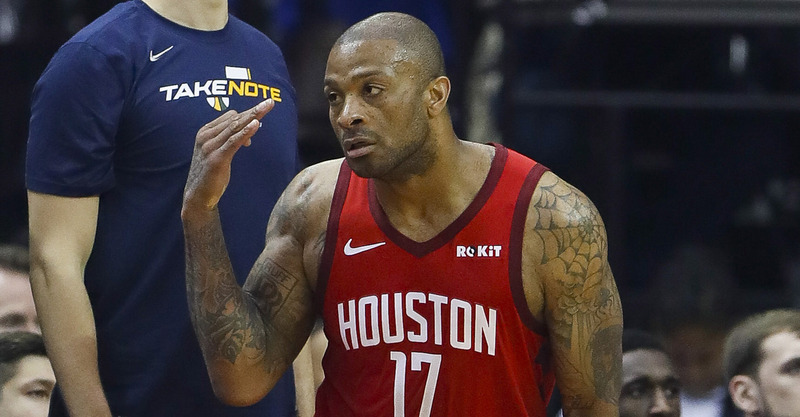 The 36-year-old isn't one of Houston's most important players, but he brings energy and rebounding off the bench for a team that has struggled with depth somewhat in recent years. The Rockets will have to continue relying on 7-footer Isaiah Hartenstein as their backup big man off the bench to spell Clint Capela.